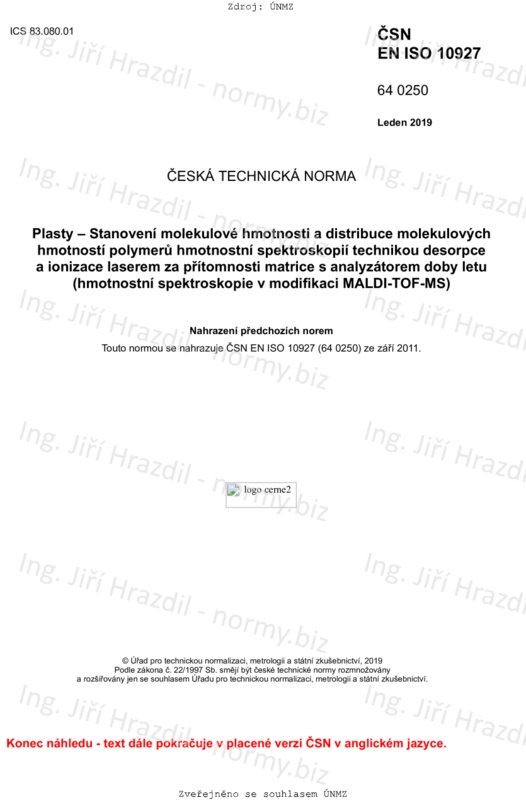 This document specifies a general method for determining the average molecular mass and molecular mass distribution of polymers (see Reference ) from 2 000 g . mol-1 to 20 000 g . mol-1 by matrix-assisted laser desorption/ionization time-of-flight mass spectrometry (MALDI-TOF-MS). The average molecular masses and molecular mass distributions are calculated from a calibration curve constructed using synthetic-polymer and/or biopolymer standards. This method is therefore classified as a relative method. The method is not applicable to polyolefins or to polymers with a polydispersity >1,2.